At the first POP Core members meeting, we all wrote down our wishes for the year 2017-2018 and one of Karen Shih’s wishes was that we could have a mascot or some cheering system to show how proud we were to be part of YCIS. Some days after, she joined a so-called “YCIS Spirit Club” and that was the starting point of her wish being granted! 1) Karen, can you explain: what is YCIS Spirit and what does it consist of? 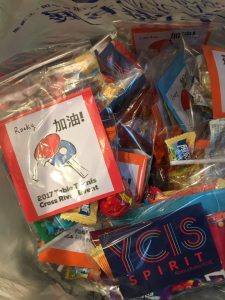 YCIS Spirit is a group formed this year to promote school spirit among students, parents and staff. In some schools this would be called a booster club. One thing YCIS Spirit does is sell merchandise with school logos that anyone can wear or use to show their support for the school. We had a booth at the Christmas tree lighting and at several Christmas concerts in December selling shirts, notebooks and cups. Another thing we do is look for small but impactful ways to recognize Secondary students before significant sports events, music and drama performances and academic competitions. 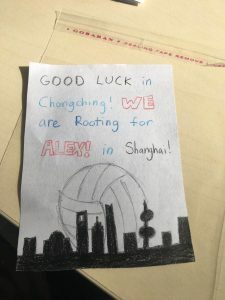 Some examples are, assembling goodie bags for a sports team or asking Primary students to write notes and draw pictures for Secondary students before an event. 2) Who is it composed of and how to join this group? The group is open to any parent or staff member who want to support the school. 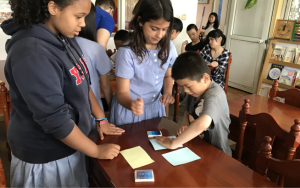 It started with a group of Secondary parents, and now some Primary parents are also heavily involved with designing, ordering, and selling merchandise. 3) Where does this idea come from and what is the mission and vision? The team was the idea of Janelle Garret, Lower Secondary Coordinator. This fall she recruited a few parents, including myself, to get the idea off the ground. The two goals of the group were to 1) recognize Secondary students before key events and 2) energize the YCIS community as a whole. We quickly joined forces with the POP Committee, and with their help, were able to design a logo, order merchandise, and hold our first pop-up sale at the Christmas Tree Lighting. It’s been a collaborative effort with lots of parents stepping up to volunteer and offer their talents. If this interests you, or you have new ideas for the team, we’d love to have you join! 4) Where can we find YCIS Spirit and how to contact? 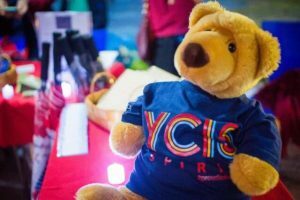 Parents can look for YCIS Spirit merchandise to be sold at major school events. 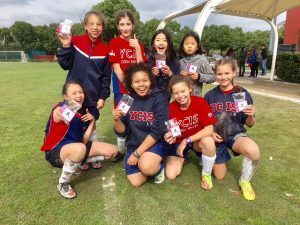 We don’t have dates locked in, but Global Child Day, Mad Run, parent-teacher conferences, or YCIS-hosted sporting events are the sorts of events where you might find the YCIS Spirit pop-up booth. Secondary students may also receive something from the Spirit team before a big sports, performing arts or academic event. For questions or to join the team, you can contact Nadine Runkel or Janelle Garrett. YCIS Students are involved in a variety of co-curricular activities from K4 to Year 13. 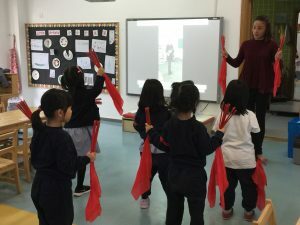 Among those co-curricular activities, the students build a sense of belonging to a team such as the Orchestra, Choir and especially with the Sport teams in Primary (soccer teams, basketball teams, swimming teams, Australian football teams). 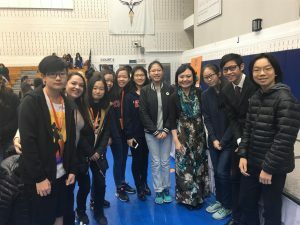 In Secondary, our students become even more involved in their sport teams with the ACAMIS tournaments all year long or their different drama performances. The students have been doing so well in the recent years that there seemed to be an urge to celebrate these successes and congratulate both students and coaches! 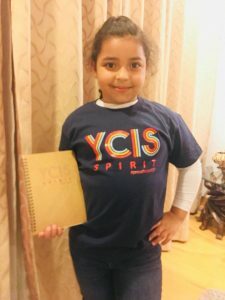 “YCIS Spirit or proud to be YCIS!” If you also want to promote YCIS spirit and help encourage and cheer on our students involved in sports, performing arts and other academic competitions, now you know what to do: join the club or buy some YCIS gear! 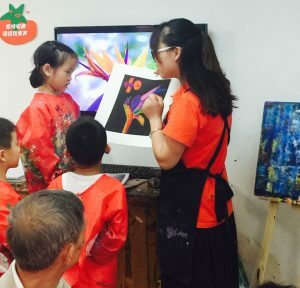 Yew Chung International School of Shanghai endeavours to educate our students holistically. YCIS not only strives for academic excellence but also believes in the importance of giving our students a sense of responsibility for those who are not as fortunate. Part of our school motto is “Love and Charity” and one way we promote this is through our Character Education programme. 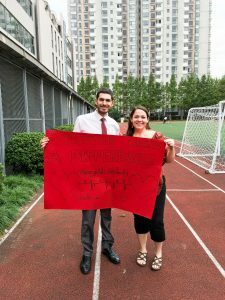 Since the devastating earthquake of 2008 that destroyed a large area of Sichuan, our school has actively pursued ways to help those in need. This month’s character trait is “Love” and what better way to express it than to give our students a chance to demonstrate “Love and Charity” during our Charity Week event which runs from January 22 – 26. Our students will be given a chance to share, help and give in a variety of ways. One such way is to help Huge Grace Orphanage. There are 30 children and all of them have disabilities in one way or another. 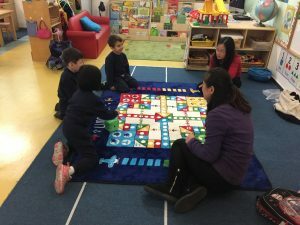 Through my wife’s involvement with Huge Grace, YCIS has established a relationship with them and has generously donated items from the ECE department. One of our goals for Character Education is for our students to have a personal involvement with the charity we support. As a result, Student Council members will be visiting Huge Grace Orphanage on January 30th. 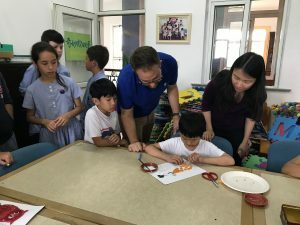 They will be performing a song in Chinese as well as providing a simple art and craft activity that the children can do. This will give our students the opportunity to see love in action as they share their talents with the children of Huge Grace. 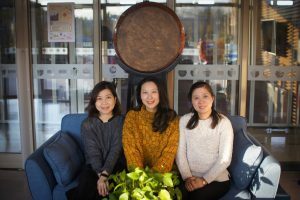 Let’s meet Michelle Wang (ECE), Sissy Shen (Primary) and Amy Yang (Secondary), the heads of the respective Chinese Departments as we unravel the reasons for 4 consecutive years of IGCSE First in the World in Mandarin awards. YCIS is known for keeping their teachers for a long period of time. Please tell me about your study background, how long you have been working at the school and what you have taught or which position you have occupied before? Michelle: This is my 15th year (I joined in 2003) – I have a teaching degree in Early Childhood and my specialty was drawing. I liked water color painting and cartoon character drawing. I started at YCIS as K1 Teacher (at that time there was a class for 18 month children). Otherwise, I have taught every level K2, K3 up to K4 which allows me to fully support teachers in my role of ECE Coordinator. Apart from every child’s need being different, every key development stage also has their needs and specific areas of development. Sissy: I have been teaching in YCIS for almost 10 years, and this is my 13th teaching year. 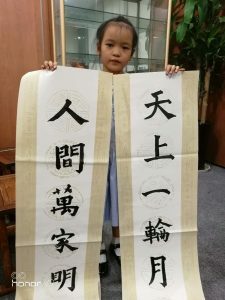 I graduated from East China Normal University where I got the master degree in Teaching Chinese to Speakers of Other Languages and my teaching degree in Childhood Education. I also have a bachelor degree in Administration and a vocational qualification of Psychological Consultant. I have taught from Primary Year 1 to Year 6 and I’m still teaching Year 6 Chinese. I enjoy spending some time in the classroom to teach, which helps me to understand more about students, optimize the curriculum and support teachers as well. I am passionate about pedagogy, psychology, international education and leadership. I think it’s very important to provide a holistic education for students, supporting their social and emotional development, as well as their academic development, to prepare them for the wider and longer experience of life. 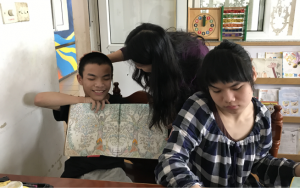 That’s why I love YCIS’s philosophy – to nurture the whole person and raise globally competent and compassionate leaders, and our school and the whole YCIS community put the philosophy into good practice. Amy: This is my 13th year and 8th year as head of department. 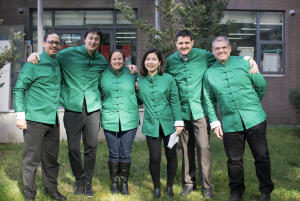 The reasons why I have enjoyed staying at our Pudong campus for such a long time are: Stable leadership team, low staff turnover and good professional relationship between western teachers and Chinese teachers. Every year, I have new experiences. I took an IB training and became an IB examiner together with my colleagues. I applied for Apple Distinguished Teacher with ICT teachers and try to apply those pedagogies to our CP iPad programme. Furthermore, I benefitted from the experiences of developing the Chinese curriculum and being involved in the Bi-cultural programme. CIS (Council of International Schools) invited me to be part of an accreditation team and I attended accreditations for schools in Hong Kong, Adelaide and Tasmania. Currently, I’m studying a Harvard online course together with 12 other staff in Secondary and during our school days, we are excited to share our interdisciplinary teaching strategies through our Pineapple Board (Peer Observation). 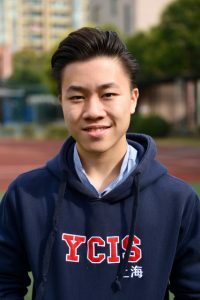 So working in YCIS Pudong makes me stay humble and keeps me enthusiastic about learning and teaching. Furthemore, I also got opportunities to turn my hobbies of photography and visual designs into my expertise. I enjoy running Photography CCA and helping editing Secondary WeChat posts very much. Thank you for sharing! And thank you Amy for already anticipating my second question! What do you like about YCIS? What keeps you at YCIS? Michelle: I really like the ECE Programme, because it follows children’s interests and thus allows more learning opportunities for them. YCIS is a nice community to work in. ECE is like a family, a multi-cultural family. 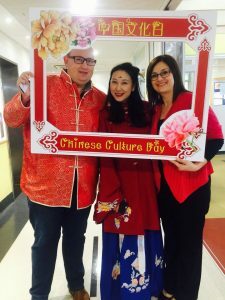 Different colleagues – different cultures. What makes it special is our Co-Teaching model that takes place all day long. 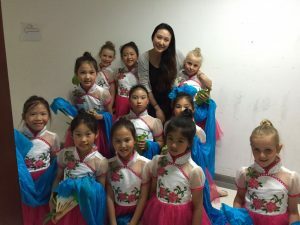 Every day, we learn and experience how Western and Eastern culture work together and most importantly, we are a role model to the children who will be living in this global world. Sissy: I like YCIS for the unique bilingual environment and structure. As Chinese teachers, we do not only teach about Chinese language but we are also a main teacher and we teach and learn about world education. I really enjoy learning from all my colleagues both the international and Chinese teachers. All knowledge learnt is valuable. You see, in the school, I get to use all my different skills and interest: management, communication, teaching, design, dancing and even drama skills! Amy: I would like to add that seeing students grow is what keeps me at YCIS too. When students are very young, you cannot see what they will become. But when you stay longer, you can see all seeds you may have planted grow and feel proud of them. What motivates me in teaching, is to see their achievement and amazing results, and you see them progress as a person. Also, at YCIS through the CAS programme and the CCAs, you can see the students who have built their own area of interest and develop their skills. Sharing my skills with the students is also something that I enjoy a lot! Do you want to know something special about them? Amy’s parents were both teachers and when she was a university student, she got a national scholarship! Her dedication in her personal interests in photography and visual design speak for themselves! If you don’t know about the photo committee, go and check the school photo gallery (password: RPCP). Also, the students’work will be printed in postcards and distributed as prizes during Chinese New Year House Competition! If you haven’t seen the CP Open Morning leaflet, go and check the Wechat Subscription for Lower and Upper Secondary! 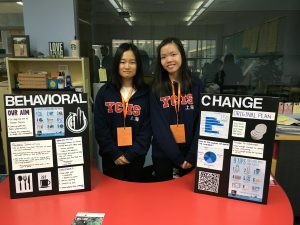 Last but not least, both Amy and Sissy have been invited this year to Changshu to run workshops in a conference with more than 300 participants from other international schools! 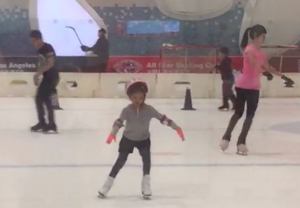 Student Focus: A Y2 Student is Growing in Her Abilities in a Unique Olympic Sport! 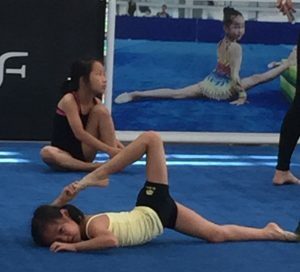 Teresa Pan in Y2B has been doing Rhythmic Gymnastics for a little over a year and a half, and although she is still a beginner, she has already participated in a competition here in Shanghai. Rhythmic Gymnastics differs from regular gymnastics because it combines gymnastics, ballet, and modern dance. Rhythmic Gymnastics is choreographed to music and performed with five apparatuses: ribbons, balls, ropes, hoops, and clubs. Teresa is currently learning balls and ribbons. They are easier than other three apparatuses and suitable for beginners. 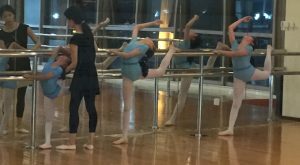 Teresa said she asked her mom if she could try Rhythmic Gymnastics and her mother agreed seeing that most participants looked strong and fit. I asked Teresa what she liked most about Rhythmic Gymnastics, and as many Year 2 students would answer, Teresa said, “I like my teacher the most because she teaches me lots of things.” Teresa is proud of the fact that she can train for up to three hours at a time, can do a hand stand and has friends in her class of different ages. During Teresa’s first competition she was part of the group events and received a Silver award. 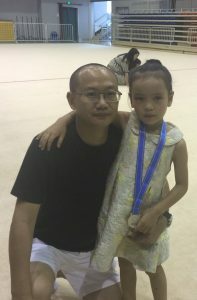 She is currently training for her next competition in August and will begin intensive training nearer to the competition. This intensive training will be important as she will be preparing for individual events on ball and ribbon. Apart from the completive side of the sport, Teresa and her mother agree that it is good for fitness and building body control. 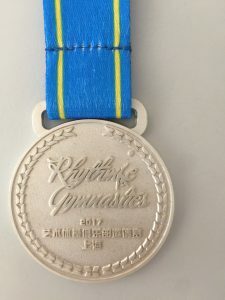 Because of the techniques used in Rhythmic Gymnastics, Teresa has also seen rapid growth in her ballet skills and figure skating as well. 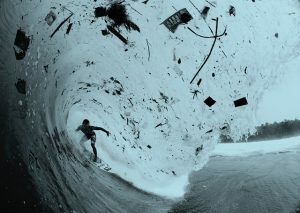 How Do We Better Protect the Environment? Times are changing- Never before has humanity been so close together, and yet at times, so divided. A rise in nationalism and an “us versus them” mentality has taken a choke hold on human society (leaving many of our leaders transfixed on the idea of being richer than the rest), plans to save the earth have been brushed aside. Our leaders have pondered, and promises have been made, but little has actually happened to work towards saving the planet. 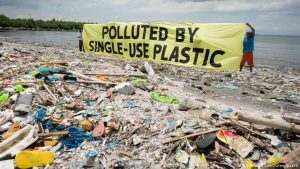 Millions upon millions of metric tons of plastic have been dumped into our oceans, killing wildlife and severely impacting the livelihood of coastal cities. Climate change continues to melt the polar ice caps, making sea levels rise enough to threaten populations and driving many beautiful artic animals to extinction. The Great Barrier Reef- one of the seven natural wonders of the world- is in critical condition, with corals dying at an unprecedented rate. What can we do? Individually, not much. However, change will be wrought when every single individual in a society plays their own, little part towards the betterment of the planet. The most important thing to do is to recognize the fact that our planet, and all of its marvelous creations, are in danger. You know this, and you might agree. But the moment you put this article down, everything I have written about may be shelved away, forgotten, and we will carry on with our lives, believing that somebody else will save the planet for you. One could call this delusional thinking, because that “somebody else” probably has somebody else in mind as well. 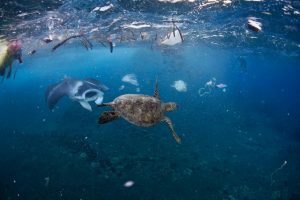 We must stop using luxuries we can live without- plastic straws, disposable bottles, cutlery, microbeads, and bags are brilliant executioners of both marine life and the tourism industry. 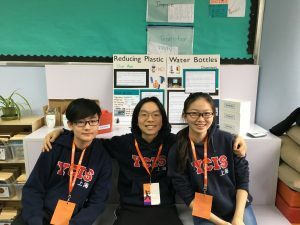 In YCIS, we have an Environmental Awareness Committee that aims to spread understanding and educate students on such issues. Over the past year, we’ve raised money for tree planting, put up posters around the school to educate and persuade, spoke at assemblies, and made plans for future events we can host, such as documentary screenings to further spread awareness. We’ve gotten students to genuinely care about our earth, and that is no small achievement for they are the future of this world. I feel that, for now, we as students are attempting to do our part. It is now time for the grown-ups to do the same. The United Nation’s 17 Sustainable Development Goals or UN Global Goals are the United Nation’s blueprint for achieving a happier and healthier world by 2030. They were designed with specific targets to be achieved in order to make real progress towards ending poverty, protecting the planet and ensuring prosperity for all. In order for the goals to be reached, everyone needs to do their part: governments, the private sector, civil society and ordinary people around the world…like each of us. 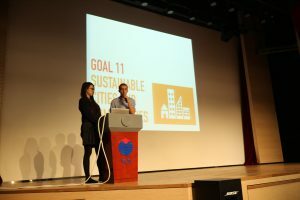 Driven by our commitment to global education at YCIS, our Century Park campus decided to focus on one of the UN Global Goals each month and challenge our students, staff, and community-at-large to learn about the UN Global Goal and find ways to ‘think globally and act locally’ to do our part to ‘be the change’ and manifest these goals in our own lives. 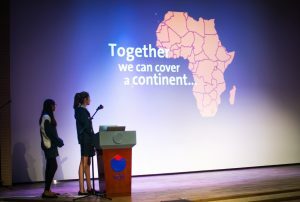 Our student prefects have been charged with the task of introducing the UN Global Goal focus for each month at our Whole School assemblies as well as organizing activities and challenges around the goal to help us do our part and impact our world. 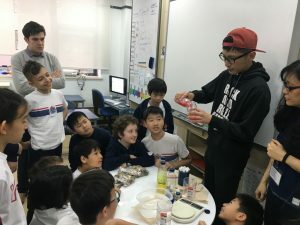 Through information shared in the assemblies, in our Daily News, and on display boards, and activities in the classroom and beyond in our CCAs (Co-Curricular Activities), student initiatives, and CAS (Community and Service) projects, our YCIS Pudong community is building a culture of global citizenship and action. 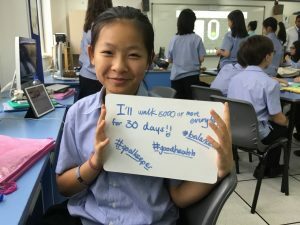 In Primary, teachers focused last Semester on the UN Global Goals and completed several activities in their classes as part of the United Nations’ World’s Largest Lesson initiative. 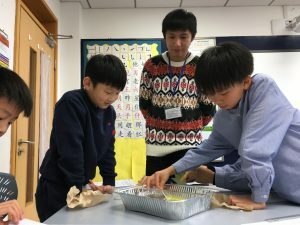 In November, several of our Upper Primary and Lower Secondary students also participated in a full-day iCan Life Skills Tournament in November organized around helping students understand, organize and take action on the UN Global Goals. 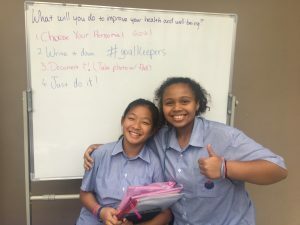 In Lower Secondary, our Year 7-9 students took on a ‘Think Global, Act Local’ challenge around UN Global Goal 3: Good Health and Wellbeing. 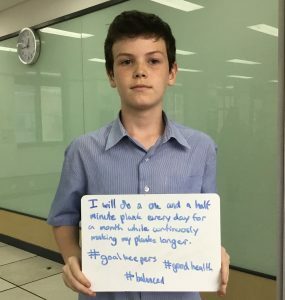 The Year 7s focused on our school community with our 30-Day Health Pledge challenge. 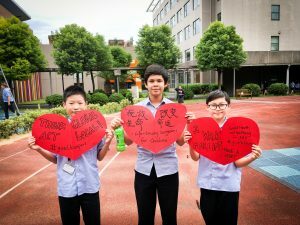 The Year 8s organized a Walk-a-Thon to raise awareness about and raise funds for Heart to Heart Shanghai to help provide corrective heart surgery for children from all over China with congenital heart defects whose parents are unable to afford the surgery. 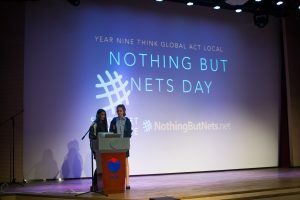 The Year 9s focused on our world’s deadliest predators, the mosquito, saving lives with their Nothing But Nets project leading assemblies and organizing activities educating our community about malaria and raising enough funds to buy 65 malaria preventing treated mosquito nets for refugees in Eastern Africa. 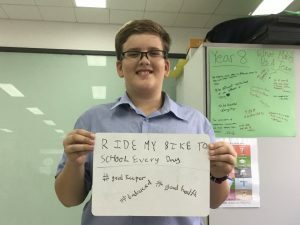 A group of Year 10 Students, inspired by UN Global Goal 11: Sustainable Cities and Communities, came together as part of the Global Issues Network (GIN) and designed an ongoing project called STOP SINGLE USE SHANGHAI. Drawing attention to the massive, unsustainable environmental cost we pay for the convenience of single-use in terms of plastic waste, they are finding creative ways to tackle reducing single-use plastic usage at our school, raising awareness, taking action, and advocating for policy changes in our institution. 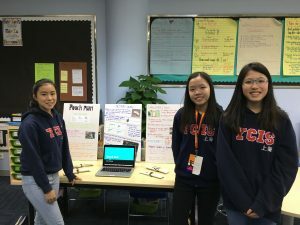 Our students joined change-makers from international schools all over Asia January 20-21st at the GINAsia 2018 conference where they presented their project. 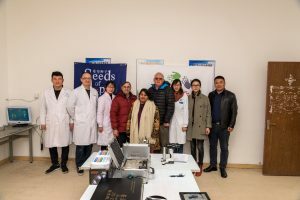 Last week we were excited to have a visit from Hong Kong based scientists, Sue and Cyrus. 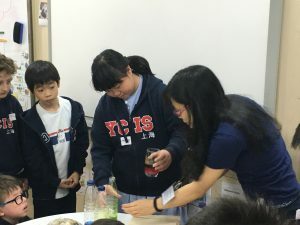 They work with our foundation as Scientists-in-Residence, sharing their love of Science with schools throughout the YCIS family. Sue and Cyrus came to work with some of our older Primary students, in Years 5&6, and some of our youngest students, in K4. This was a great opportunity to get hands on with practical Science, complementing the work done as part of the curriculum. Students were guided in conducting experiments with water. 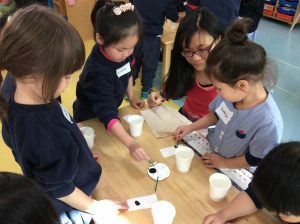 K4 learned about chromatography. It was great to hear such young children using scientific language in conversation with their teachers, with one student explaining how “the ink went to the bottom because it is heavier”. Year 5 carried out an experiment on water tension, which focused on changing one variable, while keeping all the others the same. The activity offered invaluable practice in carrying out the scientific method. Finally, Sue and Cyrus went to work with Year 6, conducting an experiment on water density. 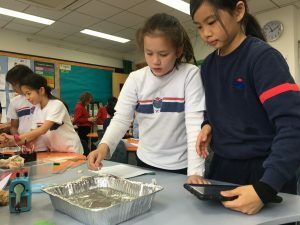 This provided preparation for the upcoming Year 6 Science Fair. Year 6 students were very excited to see the rainbow effect caused by mixing water of different densities, dyed different colours. Our next Science event is the STEM week at Century Park campus, with a range of Science themed activities for our Year 6 and Secondary Students. 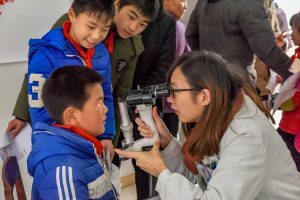 We hope that this, along with our regular curriculum, and events such as our Scientists’ visit, develop an appreciation and love of Science in all of our students. 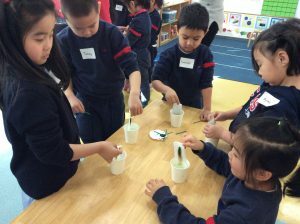 YCIS has built a culture of balancing rigorous academic learning with opportunities for all students from ECE to Secondary to participate in extra activities that focus upon development of the whole child. 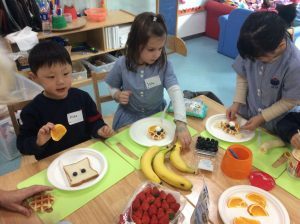 Being given the chance to focus upon other interests in a social group, mixing with other children and teachers and further building their sense of belonging in at YCIS only adds to a child’s ability. 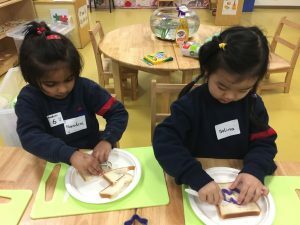 This year has seen the beginning of Co-Curricular Activities (CCAs) in the ECE and over 70 K4 students are participating in this new program. 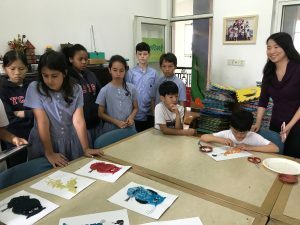 The program is designed to offer a more direct learning platform for the children, to build skills in different areas and create opportunities for the children to discover new areas of enjoyment. 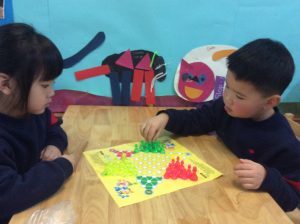 Each week the K4 students have been able to participate in all of the exciting activities ranging from the energy of Zumba, to the creative expression of Origami and the logical thinking of chess and checkers games. 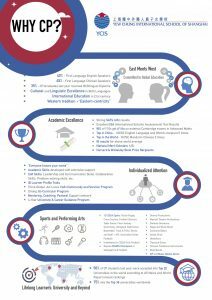 The ECE CCAs are built on a system that allows every child to experience and develop news skills in many areas as they are exposed to a new activity. 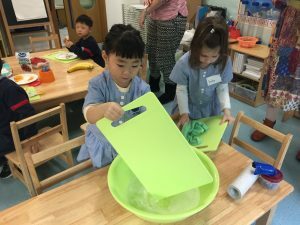 As the children move to Year 1 they will be involved in more directed learning, in the ECE we have a less directed approach, as each child explores the learning in their own way with the direction of the teachers. 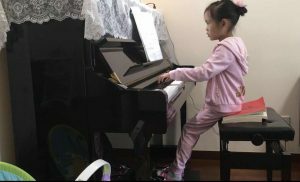 The CCAs offer a balance between the two learning styles as the children get older and require the more directed approach. 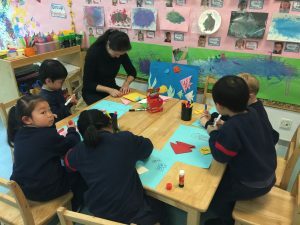 Each Tuesday and Thursday the K4 students come to school with a bounce in their step as they anticipate the exciting day ahead, and then finish with a positive CCA class. 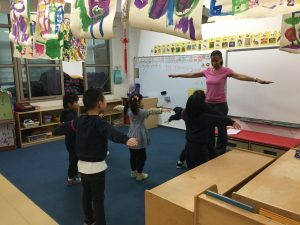 As parents collect their child after the CCAs, you can hear many excited conversations going on about the Zumba dance, the food they made, the story they heard or the dance they learnt.